Ashton School, as a comprehensive school, was founded in September 1972 when Rochelle School and Cork Grammar School merged on the Grammar School site on the Blackrock Road. A new teaching block and sports’ hall were built and officially opened in November 1975 by the then Minister of Education, Mr. Richard Burke, T.D. The first principal of the new school was Mr. Victor Bond (August 1972 – July 1996). He was succeeded in August 1996 by Mr.Charles Payne. In turn, Mr. Payne was succeeded in August 2006 by Mr. Bertie Smith. 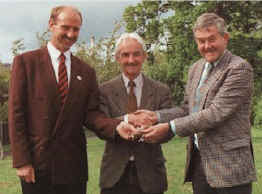 The next handover took place at the end of the summer term in 2006 when, on the retirement of Mr. Charles Payne, the school keys (and responsibilities) were handed on to Mr. Bertie Smith. The event was witnessed by Ms. AnneMarie Hewison who was appointed as Deputy Principal in succession to Mr. Smith. 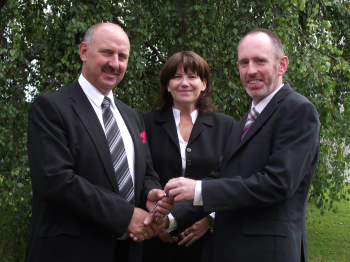 In 2011 a further handover took place when Mr. Adrian Landen succeeded Mr. Smith who retired after five years as Principal. In 1972 the Rochelle School premises were modified to act as a boarding hostel for students attending Ashton. Numbers boarding in Rochelle declined from a maximum of 90 in the 1970’s and 80’s until the late 1990’s when it proved uneconomic to keep the boarding facility in operation. The premises finally closed and were sold in June 1999. They were demolished in the summer of 2003 when the site was redeveloped for apartments. Rochelle School was founded in 1829, originally in a premises in South Terrace in Cork. The school moved to the Old Blackrock Road site in 1872 and prior to merging with Cork Grammar School in 1972 had 120 girls enrolled. The last headmistress of Rochelle was Ms. Evelyn Wallace and in 1972 she became the vice-principal of Ashton School. 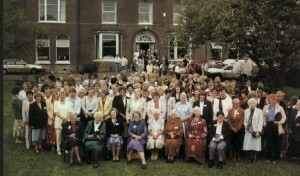 A final day of nostalgia was held on 15 May 1999 when more than 300 past pupils return to the school for a “Farewell Rochelle” celebration. Rochelle past pupils will be sad to hear that Ms. Wallace died in Dublin in February 2006. Cork High School and Kindergarten was founded in 1876 and Cork Grammar School in 1882. The schools merged at an early stage and were originally located in Sydney Place in Cork. They moved to the Blackrock Road site in 1956 when a new extension and classrooms were built as an addition to the house on the original site. Canon G. H. J. Burrows was the headmaster from 1947 to 1971, being succeeded by Mr. Sam McCutcheon (1971 -1972).Canon Burrows died in October 2003 at the magnificent age of 93.